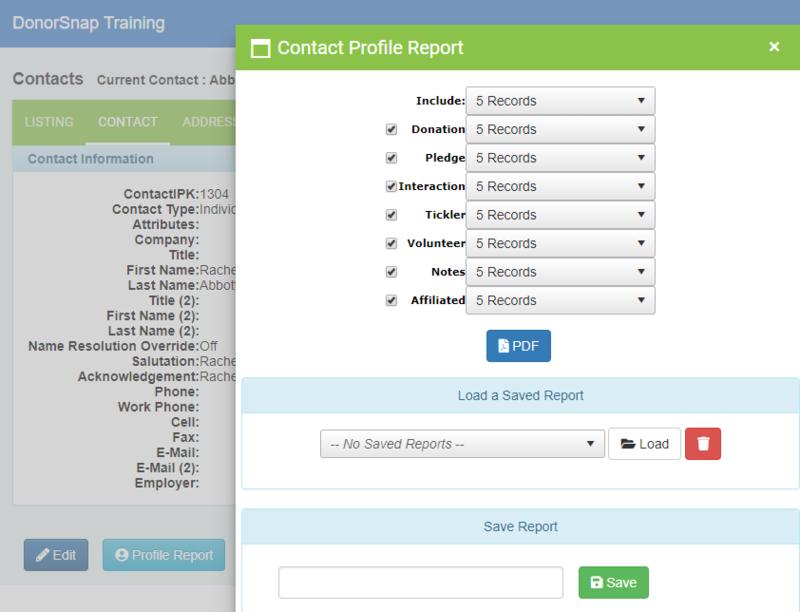 The Contact Profile report generates a PDF page summarizing the entire contact’s account. 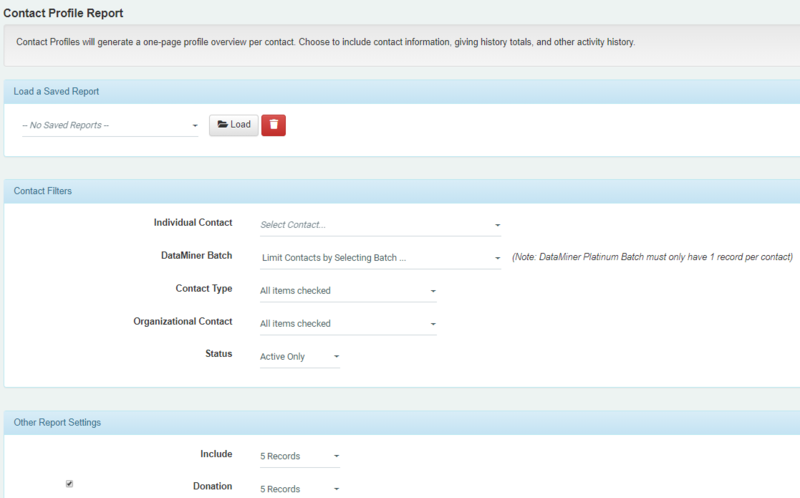 It can be run for individual contacts (on the contact tab) or small groups of contacts (from the reports menu). 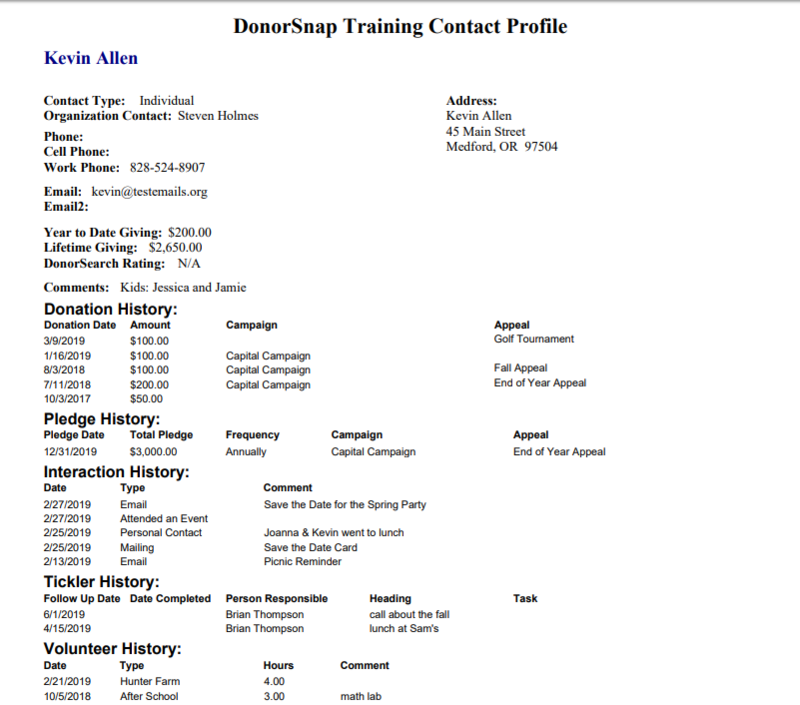 This report is great for a quick snapshot before meeting with a donor, calling sheets, and broad analysis. Choose what information to include about the chosen Contact. Note that the Contact information displayed on this report is not customizeable and will not print information from any blue User-Defined fields.